Ulster Landing is inspired by the Irish province of Ulster, where Scottish and English settlers landed in the 17th century. These “Scotch Irish” developed their own Scots dialect, Ullans, and a culture distinct from the rest of Ireland. Shelley’s Scotch Irish ancestors came to America in the 19th century. We perform music of various Celtic traditions not only from Scotland and Ireland, but also Wales, Cornwall, Brittany in northwestern France, and Galicia in northwestern Spain. Our name honors the variety of musical styles found across diverse nations. 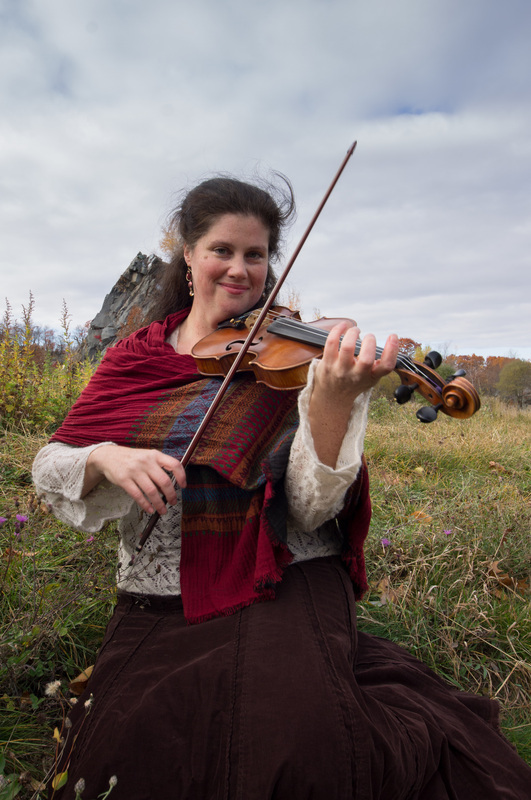 Karen Burciaga (fiddle, voice, dance instruction) fell in love with Scottish music as an undergrad at Vanderbilt University, where she once dragged Shelley to a Scottish country dance session. A classical violin major at the time, she soon discovered her voice in the gutsy sound of the baroque violin and went on to explore Scottish, Irish, and old-time fiddle styles. Karen moved to Boston to pursue a Master’s degree in Early Music Performance at the Longy School of Music, studying baroque violin and viola da gamba. She has since performed with The King's Noyse, Arcadia Players, Cambridge Concentus, La Follia and numerous other early music ensembles. With Dan and their folk/early music group Seven Times Salt, she has researched and presented original concert programs at museums, historical houses and concert halls across New England. An avid dancer, she enjoys Scottish, English, Renaissance and contra dance and tries to do Balkan dance in uneven meters once a year. After years away from her modern violin, Karen has rediscovered the joys of using a long bow on steel strings. She’s now the fiddler for Newpoli, an award-winning group specializing in southern Italian folk music, and she maintains a private teaching studio and plays for weddings across New England. Learn more. Daniel Meyers (uilleann pipes, whistles, flute, bodhran, voice) first heard Celtic folk music at the age of 14 while working at a dishwasher in an Irish-American pub in Washington state. He didn’t start playing it, however, until almost a decade later, when he was lucky enough to receive a Watson Fellowship to study the uilleann pipes in Ireland. He moved to Galway where he lived for two years, studying with Eamonn Brophy and other notable Irish pipers, and doing a little bit of everything including singing as a chorister in the Galway Cathedral Choir. He has continued to do a little bit of everything since then, and has gained a reputation as a versatile multi-instrumentalist active in both the early music and folk music worlds. Dan and Karen have collaborated for over a decade as part of the classical/folk crossover group Seven Times Salt, which they founded while obtaining their Master’s degrees at the Longy School of Music, and he also performs with many other early music groups in New England and throughout the US. Recent engagements include concerts in Texas, Pennsylvania, and New York, as well as theatrical work with the Cambridge Revels and a stint playing Renaissance instruments on Broadway for the Globe Shakespeare Company’s productions of Twelfth Night and Richard III. 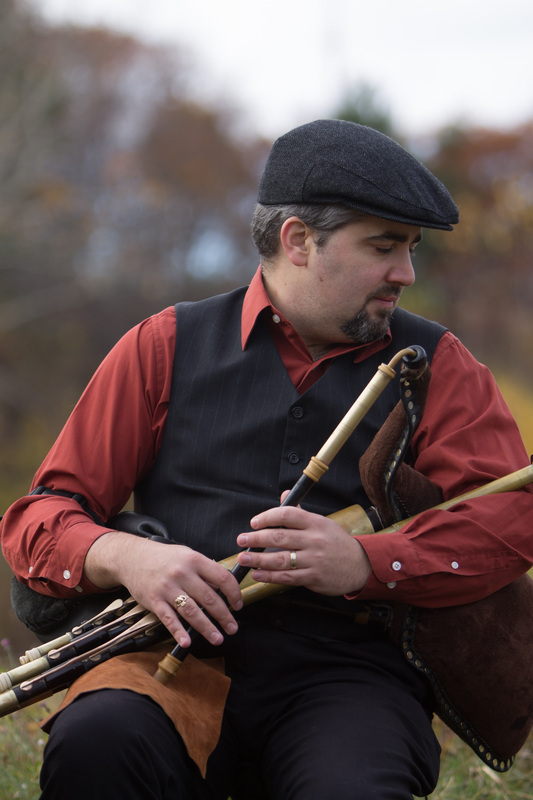 He also performs southern Italian folk music with the Boston-based ensemble Newpoli, and is active throughout New England as a teacher of recorder, tin whistle, and pipes. Dan lives in Boston with his wife and two cats, and enjoys cooking, brewing beer, and acquiring new and unusual musical instruments. Learn more. Shelley Otis (harp, voice) discovered the lever harp after earning a BM in classical piano performance from Vanderbilt University. She first heard Scottish music after being dragged to a Scottish country dance session. Later, she was drawn to early music while working at Plimoth Plantation, dove into the rich world of folk music, developed a love for jazz and blues, and found her musical voice on the harp. To round out her musical education, Shelley has studied various harp traditions including classical, Celtic, jazz, Jewish, and Paraguayan repertoires with teachers such as Julia Jamieson, Maeve Gilchrist, Grainne Hambly, Sunita Staneslow, and Nicholas Carter, as well as Latin American musicology with Alejandro Alcocer Alvirde. Shelley has brought her music to venues ranging from concert halls to farmers' markets, delighting listeners with her unique style. She has performed on the Boston Early Music Festival fringe series, Boston Recorder Society Concert Series, the Block Island Concert Series, the Joe Davies Folk Festival, venues in St. Etienne, France, and numerous others. She maintains a busy schedule of wedding performances across New England, where she is as likely to play Led Zeppelin or Glenn Miller as Celtic music. Learn more. 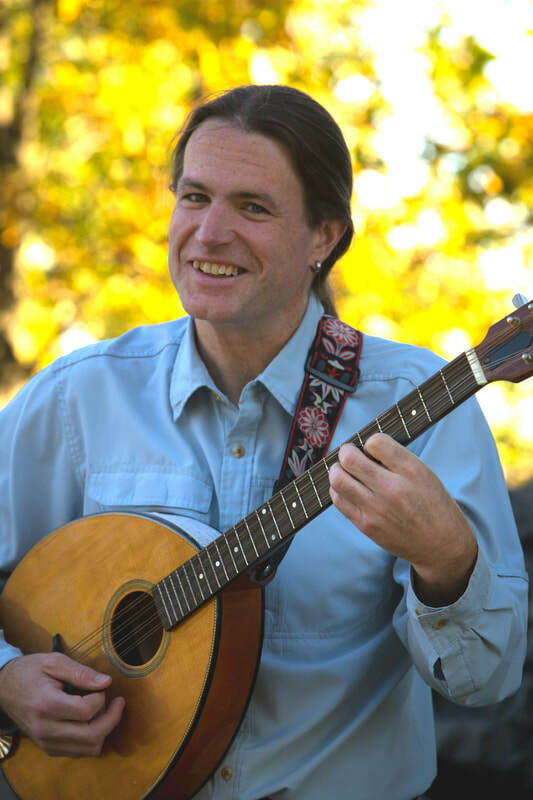 Matthew Wright (guitar, bouzouki, voice) spent the years 1987-2000 impersonating a classical guitarist while playing bass guitar in an original rock band in the state of Maryland. He attended the Peabody Conservatory as an undergraduate and studied classical guitar. Upon moving to Boston in 2000, he took up the lute seriously and studied at The Longy School of Music, earning a Master of Music degree. He is an active performer and arranger of music ranging from Renaissance to rock. Matthew is the lutenist for folk/early music group Seven Times Salt, teaches guitar at Brimmer & May and Belmont Hill Schools, and is a contributing writer to the Lute Society of America. Joy Grimes (fiddle, dance performance and instruction) has true passion for fiddling and a versatile palate when it comes to folk music and dance. She grew up dancing in Burch Mann's American Folk Ballet, training in standard dance forms and eclectic folk styles. Joy began classical violin lessons at age four and has studied musical styles from Baroque violin to Irish fiddling. She spent four seasons with the Utah Shakespearean Festival playing early and contemporary Irish, English, Italian, Scottish and Welsh folk music. She also performed with West O Clare, a traditional Irish dance band, competed in the All Ireland Fleadh, and is a founding member of Folk Baroque, a trio devoted to playing folk music on early instruments. Joy's enthusiasm is infectious on stage! Haley Hewitt (harp) began playing at age 9 and has performed with many professional, community and school ensembles. She studied at the Hartt School of Music and holds a Masters degree from the Royal Conservatoire of Scotland. 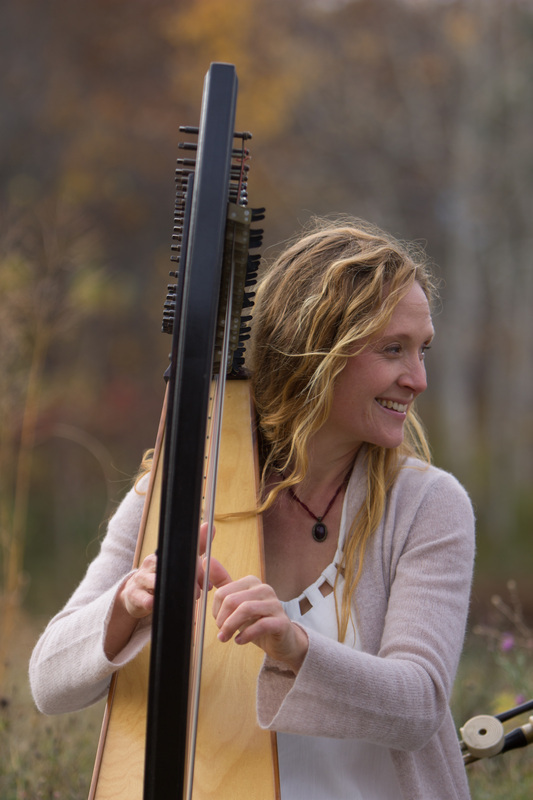 Upon her return to the U.S. she founded the Celtic Harp department at Neighborhood Music School and the Connecticut Harp Circle and in 2013 was crowned USA National Scottish Harp Champion. Now based in Boston, Haley is pursuing a busy and diverse career in playing, teaching, and composing for the harp. She recently released an EP-length album, The Valentia Suite, a collaboration with composer Michael O'Sullivan, . Learn more. Patrick Hutchinson (uilleann pipes) is an internationally recognized performer and teacher of the Irish Uilleann pipes, with an eclectic repertoire spanning the traditional to the experimental. Originally from Liverpool, he learned to play the pipes in Canada as a student of Toronto piper Chris Langan. Patrick has appeared with the Cambridge Revels, on WGBH's A Celtic Sojourn, and recordings by Loreena McKennitt and Oliver Schroer among others. He has provided the music for many theatrical productions, and his piping can be heard in the Highlander movies. He holds a Ph.D in ethnomusicology from Brown University and twice won the All-Ireland title in Uilleann Pipes Slow Airs. He currently teaches pipes at the Comhaltas Boston Music School. Learn more. Björn Wennås (guitar) made his musical debut playing flamenco at age 12. He went on to study jazz and now specializes in contemporary and world music. He performs with the Irish band Ishna, and co-founded award-winning Italian folk music ensemble Newpoli and the rock/jazz BC Quintet, both of which have toured the US and Europe. An accomplished composer, Björn writes original music for both groups and also maintains a busy performance and teaching schedule. Learn more.